Marking Birds Eye’s debut in meat-free products that include pea protein, Green Cuisine offers families healthy alternatives that contain high levels of pea protein, minimal saturated fat and are a good source of fiber. Further, Green Cuisine capitalizes on the popularity of flexitarian and meat-free diets by offering consumers a great tasting, healthy alternative from Birds Eye, a brand they know and trust. The range contains three meat-free variants –burgers, sausages and Swedish style meatballs – that offer excellent taste and texture similar to meat products. 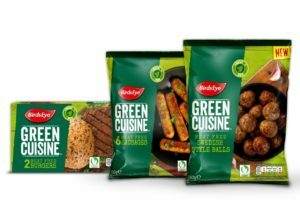 Green Cuisine products are available at retailers in the United Kingdom starting March 21st and will be supported by a significant multi-channel marketing campaign. The introduction of Green Cuisine in the United Kingdom follows the successful launch of Pease, a range of pea-protein products sold under the Findus brand in Sweden, Norway, Finland and Denmark. 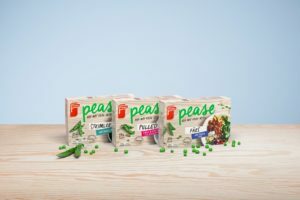 Launched in both retail and foodservice channels in 2018, Pease is a ground-breaking innovation as the first texturized pea-protein in the Nordics market. Pease was recently nominated for the “Foodservice Product of the Year” award in Sweden and has an exciting slate of new products in 2019.